This Elderly Couple Died Two Days Apart, So Why Aren’t The Police Investigating It? After vowing that they’d stay together forever, Abigail Morris, 87, and husband Edgar Morris, 89, died 36 hours apart from each other. If you think that sounds suspicious, you’re not alone. Even as she lay dying, he promised he’d never leave her. Edgar Morris held the hand of his beloved wife, Abigail, as she fell into a deep sleep and finally slipped away. Two days later, in their one-story home of 52 years in Michigan City, Indiana, Edgar was found peacefully at rest in his favorite easy chair and had joined his one true love. Yet 72 hours later, the real story behind this tragedy remains a mystery. 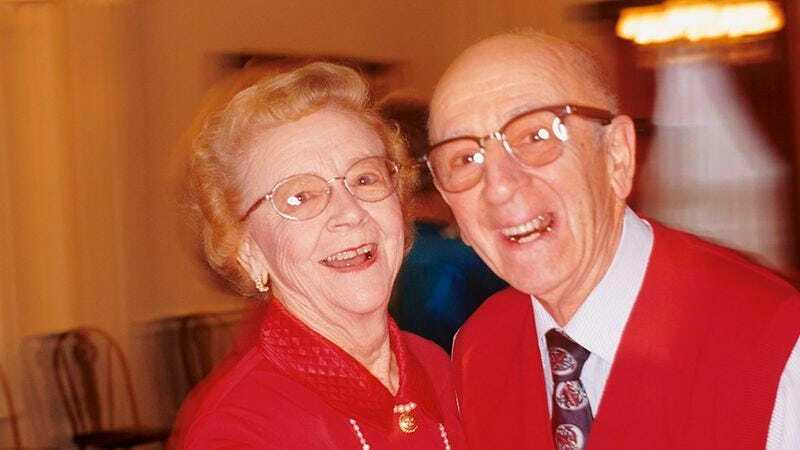 Engaged since Edgar’s sophomore year of high school in 1941, Abigail only had eyes for Edgar since the day they met. After nearly 68 years of marriage, with four children and 11 grandchildren, friends in the community have called it the perfect marriage. Now they should be asking if it was the perfect crime. The bigger question is: Who didn’t want him to? But despite the uncanny timing of these two deaths, the police of Michigan City, Indiana are sitting on their hands. “Spending your whole life with your best friend, and then separated for less than two days?” said one officer on the scene. “That’s how I’d want to go.” In other words, nothing to see here. Case closed, it would seem. With the police refusing to speak with press, and the local hospital failing to release an autopsy report, it begs the question: When an elderly couple living in a small house with little savings both pass away in the span of 36 hours, who benefits? “I never saw them fight, or argue … they just seemed deeply connected until the very end,” said Gary Turner, a close friend of the family. So whatever turmoil ultimately took the Morris’s lives, only one thing is certain—they kept it secret. Could Edgar Morris have given his wife a slow-acting poison and taken it himself a few hours later? Entirely likely, given what we know. What about the possibility of a spurned grandchild? It would be irresponsible to ignore these questions, yet that’s what the police continue to do.